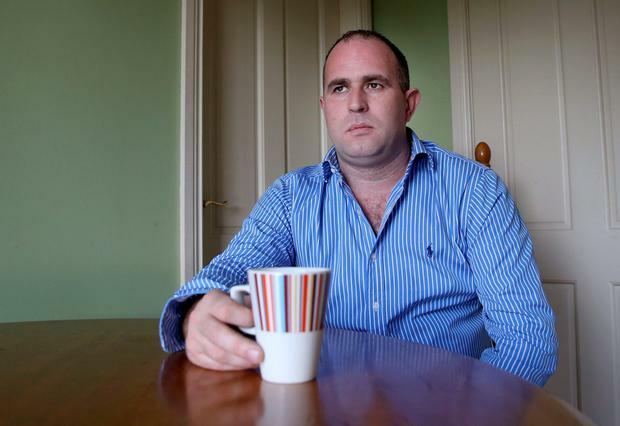 The brother of a young South Armagh man beaten to death by the IRA has said he was so overcome with anger after the murder that he wanted to take revenge on those who ordered it. Speaking for the first time after the brutal killing of his younger brother Paul, James Quinn said: "Until the IRA killed Paul, I'd never hated anybody in my entire life. "But when I saw Paul lying dead in a hospital bed, his body battered so badly that it was hard to even recognise him, I felt pure hatred. My blood was boiling that the Provos had reduced him to that state. "I wanted revenge on them. But, thankfully, wise heads - loyal friends who stood by my family after the murder - spoke to me and I calmed down. "I left it to the law to bring Paul's killers to justice and that was the right thing to do. "Otherwise, I'd have been stooping to their level." Paul Quinn (21), from Cullyhanna, was beaten to death by an IRA gang in a barn in Co Monaghan in 2007. Every bone in his body below his neck was broken by the gang, who used iron bars and nail-studded cudgels. He had fallen foul of the Provos after punching the son of the south Armagh IRA commander. No one has ever been charged with his murder. While his parents, Stephen and Breege, have spoken at length about Paul's murder, James had declined media interviews until now. "It is all very raw for me. Even eight years on, it's still like yesterday," he said. "My sister Cathy phoned me to say Paul had been shot and was in hospital, but she thought it was a kneecapping and wasn't that bad. Then I got another call telling me to hurry to the hospital, that Paul mightn't make it. "When I got there, Paul was dead. My father and I went into the room. A lump of Paul's ear was missing. His whole face was battered. I'd never seen anything like it in my life. That is not how you want to say goodbye to your baby brother. "Those tramps didn't even shoot Paul. It wasn't a clean killing. They gave him the most excruciating death possible. "You couldn't do what they did to an animal, let alone a human being." James said he often sees those who murdered his brother in south Armagh. "I see them on the road, in the shop, in the pub. I am not afraid of them. Every time, I try to look them in the eye, but they put their head downs down. It's not me who is uncomfortable." He finds comfort in the company of those who knew Paul. "But sometimes hearing news about his friends is upsetting. I find out that they've settled down, married and had kids and I think, 'that should have been Paul'. The IRA robbed him of his future."